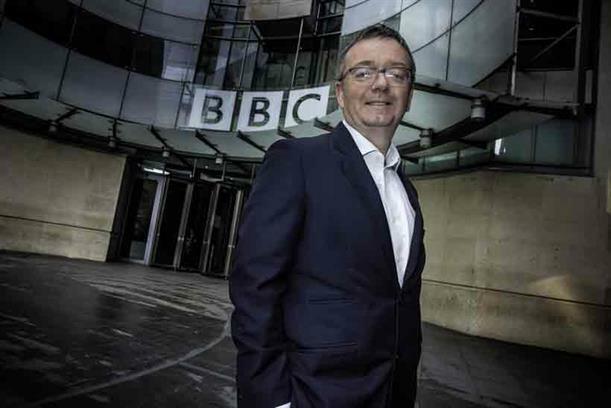 BBC marketer Philip Almond is leaving the corporation after six years to set up a consultancy. The former Diageo marketer joined the BBC as marketing and audiences director in 2012, replacing Helen Normoyle, who left the broadcaster to take up a role at DFS. In March, the BBC announced the appointment of ex-Virgin Media chief marketing officer Kerris Bright to the newly created position of chief customer officer. Kevin Chesters, the final member of the "gang of four" who ran Ogilvy & Mather, has resigned from Ogilvy UK. Chesters, who has worked at O&M and more recently Ogilvy UK as chief strategy officer for two years, leaves without a job to go to. Grey has appointed Latin America president Eduardo Maruri as chief executive of Grey Europe. Maruri will relocate to London for the position, starting this month, and report to Grey worldwide chief executive Michael Houston. He replaces Alain Groenendaal, who served as president and chief executive of Grey Europe for the past two years. Jo Coombs, the former chief executive of OgilvyOne, has been reunited with her old boss Annette King following the creation of Publicis Groupe UK's country leadership team. Coombs becomes chief operating officer and reports to King, Publicis Groupe’s UK chief executive. Coombs quit Ogilvy in April, eight months after King was poached to run all of Publicis Groupe’s UK operations. Lucky Generals has hired Bartle Bogle Hegarty creative director Kate Murphy in the same role. Murphy joined BBH in 2015 and was promoted to creative director in 2017, creating work for brands including Tesco, KFC and Virgin Media. She was named one of Campaign and Creative Equals' Future Creative Leaders in 2018. Pearl & Dean has promoted Clare Turner to sales director, with a new remit that integrates client- and agency-facing initiatives in the role. The position was previously held by Zoe Cadman, who has left Pearl & Dean after 15 years to join Global as head of sales. Under Armour has appointed Alessandro de Pestel as chief marketing officer, replacing Andrew Donkin, who left the sportswear brand in December last year. De Pestel was previously executive vice-president, global marketing, communications and consumer insights, at Tommy Hilfiger. Sudler London has appointed Nanda Marth as executive creative director. Marth will report to Tara Page, Sudler’s managing director. Sudler is part of WPP Health & Wellness, which recently unveiled its new London headquarters for the UK division. Before joining the healthcare sector, Marth gained more than 10 years' consumer experience with agencies in Brazil and the UK. She has worked at Havas and, before that, TBWA and Langland. Blueprint has hired Mark Anand as managing director. He has worked at the agency for five years, for the past three years as head of creative services. Lucy Hayman, who previously held the role, remains owner and executive chair. Breakdown specialists AA has appointed James Frost to the newly created role of chief innovation officer. Frost joins from from Worldpay, where he was UK chief marketing and commercial officer.